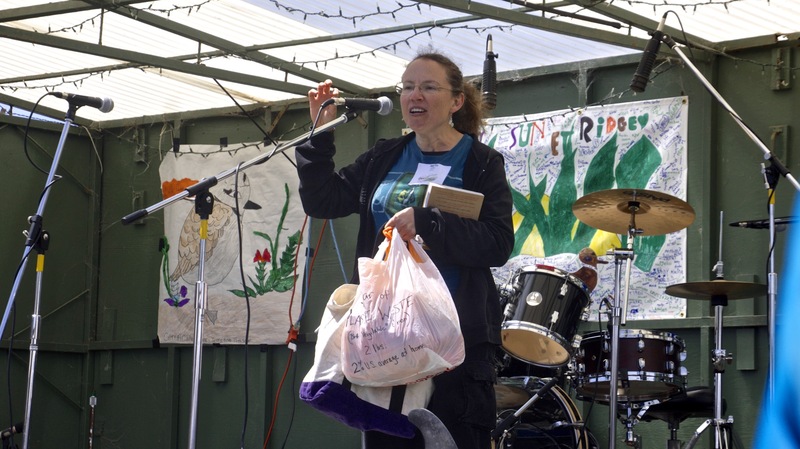 Beth Terry, staunch advocate and published author of “Plastic Free: How I Kicked the Plastic Habit and How You Can Too ” and the online “Plastic-Free Guide,” presents important tips for living a “plastic-free” lifestyle during Earth Day of Action’s EcoFest’s public education program. 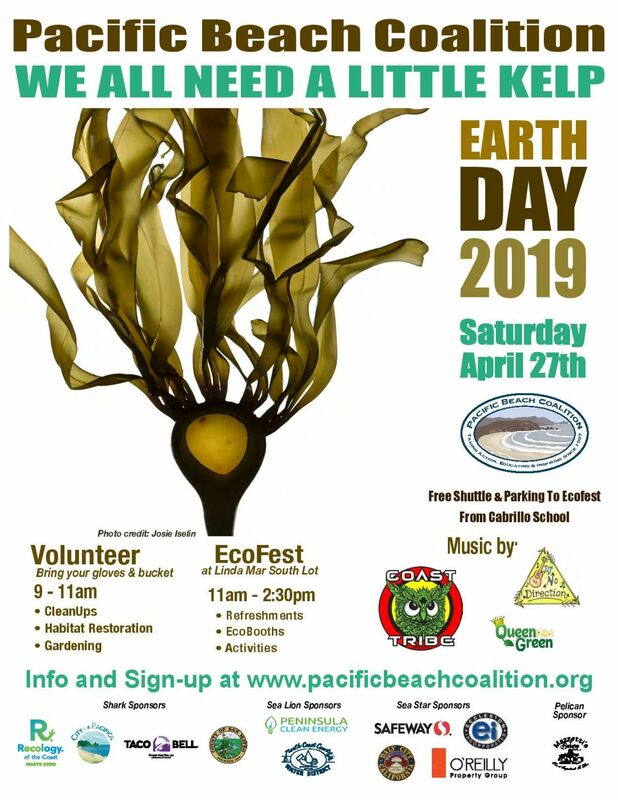 The Pacific Beach Coalition brings a strong collective voice to taking action, educating the public, and to informing policy through advocacy for changes that create a lasting and positive effect on improving and protecting our environment. Our approach to advocacy is rooted in environmental stewardship to educate and provide opportunities to take direct action during our field programs. Whether an issue is directly related to our immediate community, such as the need for maintenance of storm drains that lead to our ocean, or whether we’re supporting larger-scale policy adjustments such as Pacifica’s single-use plastic bag ban, styrofoam ban and Northern California’s first smoke-free beaches and pier, our Earth Heroes advocate through everyday education, as well as through our annual signature event of the year, Earth Day of Action & EcoFest when we lpromote our annual environmental theme and carry its messages to all ages and audiences throughout the year. Advocacy can also include other activities in support of our mission including public awareness campaigns, public speaking in support of solutions, reaching out and participating in community events such as EcoFest and Fog Fest, collecting data or research to increase our understanding of issues impacting our environment, and even leading the coastal stewardship pledge during our school assemblies. You can learn more and get involved with our approach to advocacy and ‘calls to action’ to increase support for sound recommendations that improve and preserve the health of our environment. Bring your voice to meetings, speak at public meetings or join us during outreach activities such as EcoFest and Fog Fest. Join our online community on Facebook, sign up to receive eNews, follow us Twitter, or check in on the latest news and updates found online on our website to learn more about the issues we support, why it matters and the solutions that bring change and make a difference for the environment. Bring knowledge into the classroom and share it with your peers. The Pacific Beach Coalition welcomes students as liaisons to bring environmental stewardship and education into their schools by planning activities and projects that engage their peers to take action and improve our environment. Students can join also learn how to make a meaningful difference through public policy and research to protect and preserve our ocean and coastal environment. Learn how! Local Businesses Can Speak for Solutions Too! The Pacific Beach Coalition welcomes partnerships with local and Bay Area retail, online and home-based businesses that seek to, or have integrated “purpose” into their day-to-day practices, or see the need to address an issue affecting our environment. 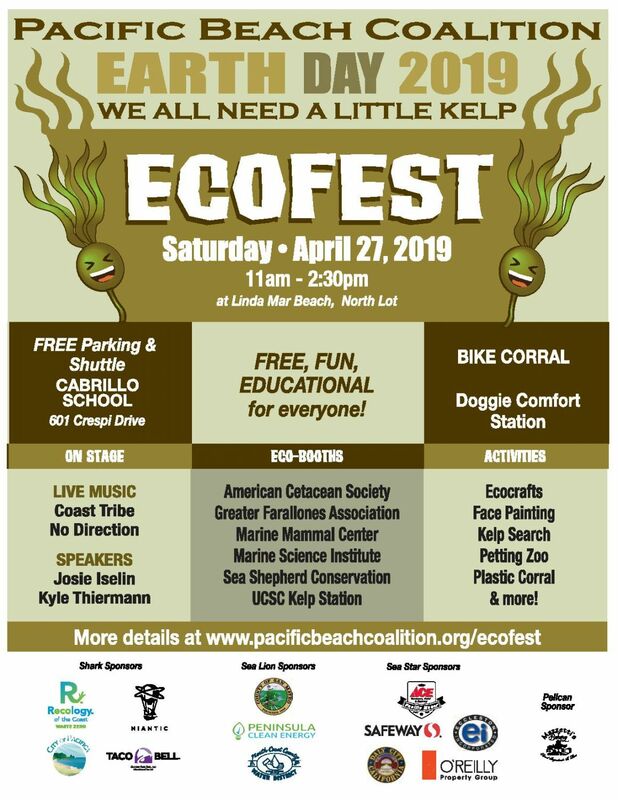 Examples include our partnerships with Mazzetti’s Bakery in Pacifica’s Manor District, or Ocean Yoga’s participation in Earth Day of Action every year. Find out more on how you can make a difference! You can also learn more about our current cigarette litter campaign and our past campaigns and successes. Let us know if you’re interested in becoming an advocate on behalf of our mission by contacting us directly.